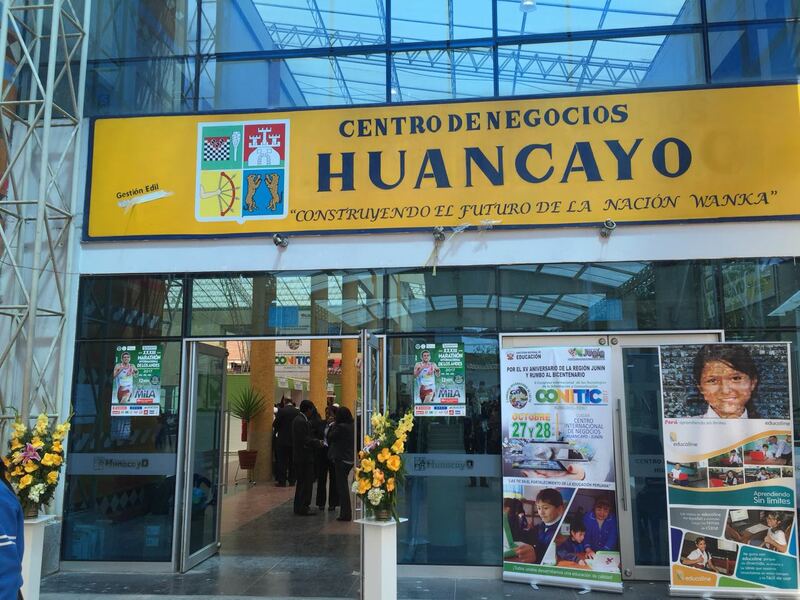 Docentes de Huancayo hablan con el equipo Educaline en el área de exposiciones. Peru.- With the commitment to empower the role of the teacher and incentivate the development of digital competences in the classroom, Educaline Peru participated in the II International Congress “ICT in the Strengthening of Peruvian Education“, which had the objective of Strengthen the pedagogical and professional capacities of teachers to improve student learning through the use of ICT. 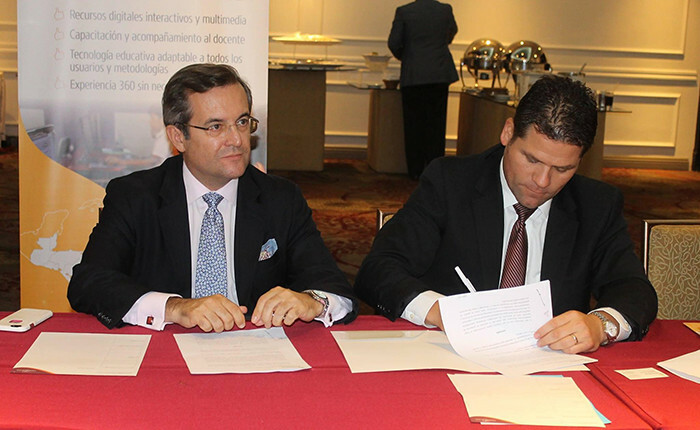 The event was held in Huancayo, on October 27th and 28th. This was an excellent opportunity for Educaline to share the experience it has in schools, where teachers, students and managers easily use the digital educational platform that adapts to their school reality. 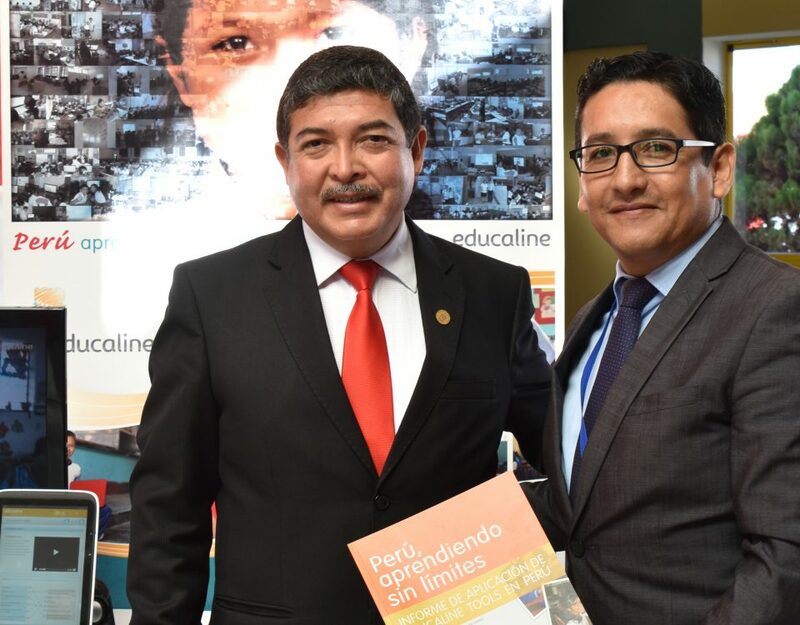 In addition, the publisher reaffirmed his commitment to teacher training and the assisting teachers had the opportunity to try the Educaline system. 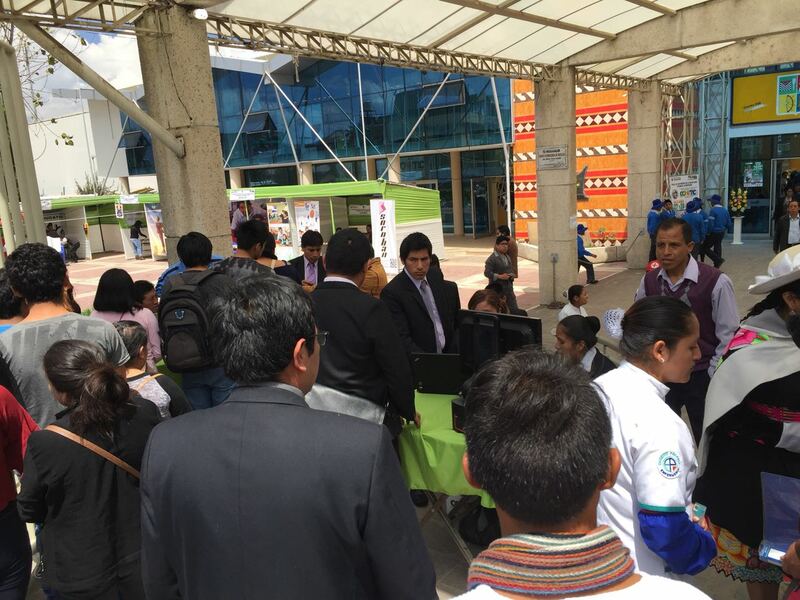 The Congress was organized by the Junín Regional Education Directorate, through the Directorate of Pedagogical Management. The different keynotes presented were related to: sustainability, environmental education, didactic research, teaching methodologies such as gamification and the development of digital competences, these last two topics being the cornerstone of the Educaline proposal. There were national and international speakers. 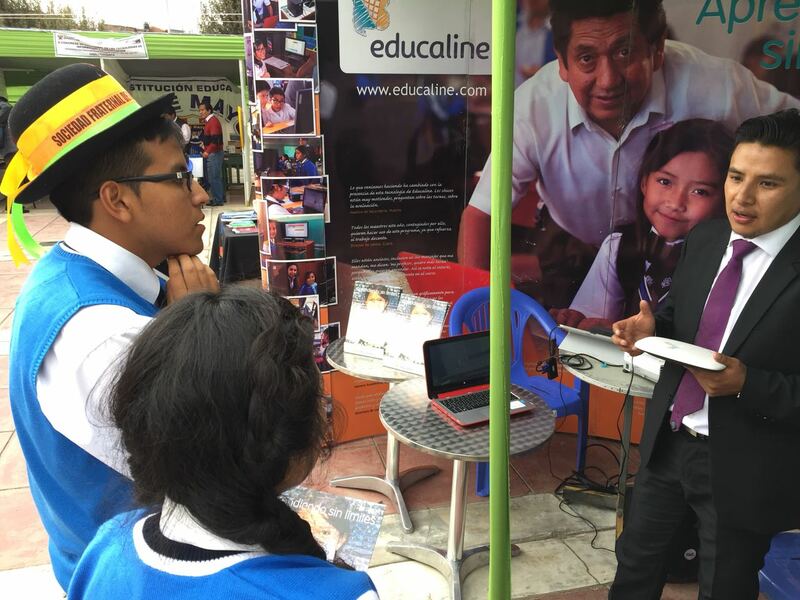 “We have the experience to adapt immediately to the different educational realities of each institution, and above all, we seek to strengthen the role of the teacher”, said José Antonio Castro, Manager of Educaline Peru. The head of the Regional Directorate of Education in Junín, Lic. 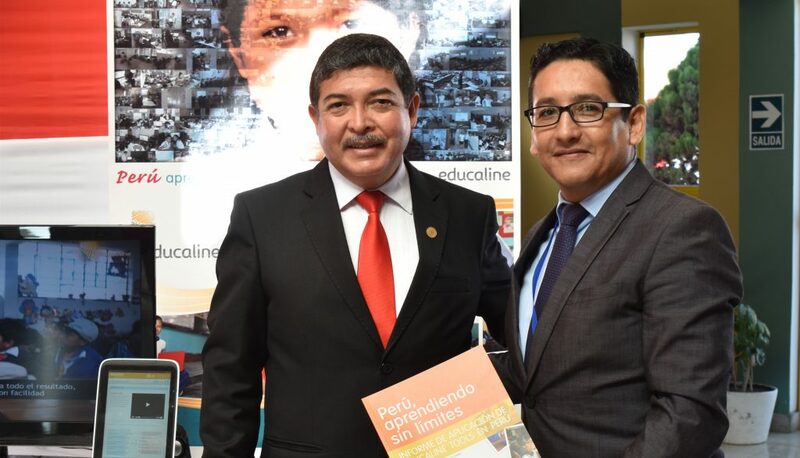 Valois Terreros Martínez, said that this event: “contributed to the exchange of experiences in the teaching of student learning, through the use of ICT, as new strategies and resources didactic that will allow to improve the achievements of the learning of the students of the Junín Region “. Junín is one of the regions of Peru that covers several jungle areas and has the largest student population with more than 300,000 students studying in 5,661 educational institutions. 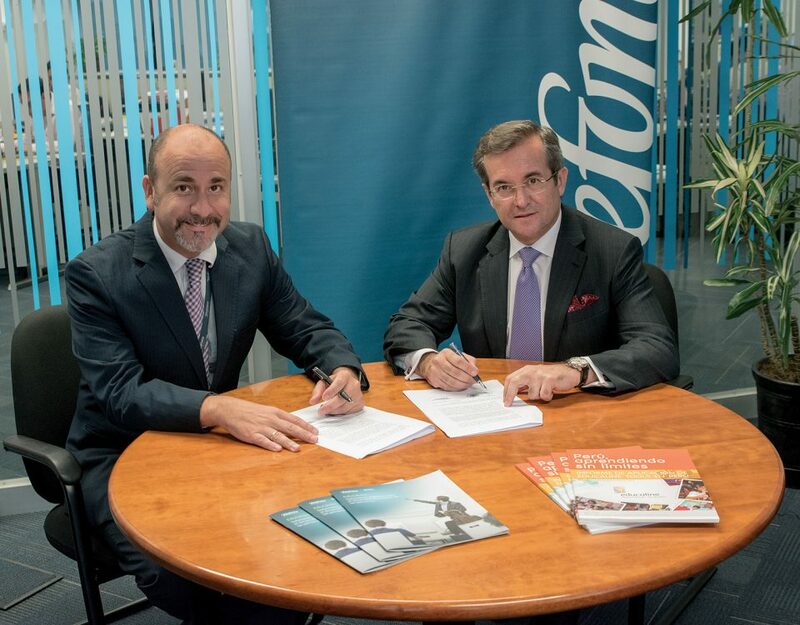 Educaline is a publisher of educational digital contents, who provides technological resources and methodological solutions for incorporating ICT in the classrooms. Educaline is multinational company wich originated in Spain, and with a multimedia content production house in Bogota, operating in educational centres in all Latin America, including Colombia, Bolivia, Mexico, Panama, Paraguay and Peru. 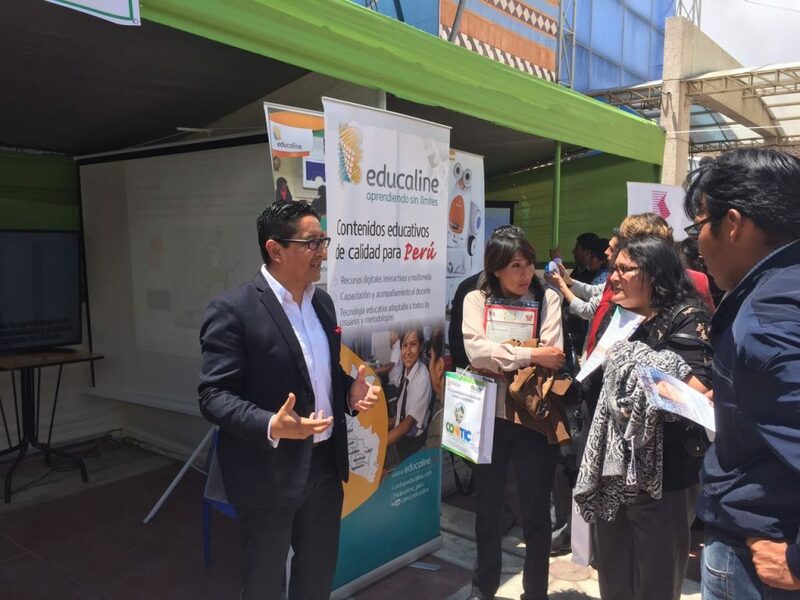 Currently, Educaline is incorporating their digital content and teacher training to hundreds of public educational institutions of Mexico, Panama and Peru. Thanks to collaboration agreements established with the different regions, it has implemented its educational solutions in more than a thousand classrooms, with over 800,000 users in these countries. The results can be read in their published results report that clearly indicates the success of their program. 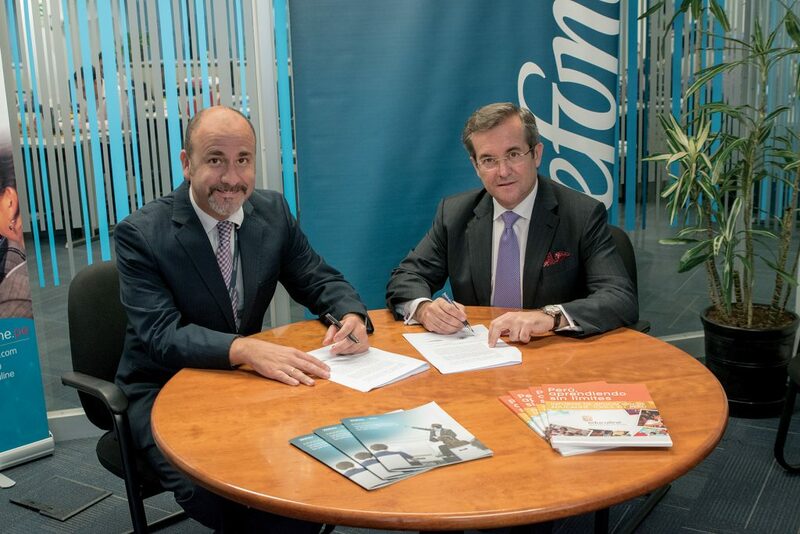 Educaline is part of the Orfeo XXI investment fund, who backs the expansion activities and leadership in the market with its financial strength and the expertise of their team and resources. We will be delighted to answer your queries.